Let’s begin with the basic concept of what “docker” is and how is it connected to hosting. Docker started as an open source project that quickly took off because of its flexibility and ability to deploy softwares,independent of each other. 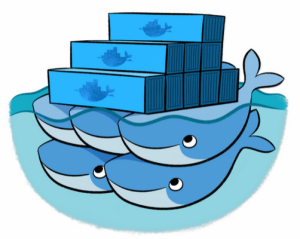 Developers and system administrators have been flocking to docker hosting for some time now. It has made it super easy to deploy softwares and apps in a sandbox, also called containers, running on a hosting powered by the ever so versatile Linux operating system. This allows developers to use a standardized environment to deploy and develop software and everything that is related to it. So what are containers or this sandbox you keep hearing about that makes Docker so popular and unique? Most companies are now using virtual machines (VMs, for short) to place and operate their softwares that power their business models. In order to run these softwares on a VM, it needs a guest operating system that is installed within that VM. This worksgreat, except for the fact that there is a lot of computational overhead to run a VM leading to all sorts of issues. Containers, on the other hand, operate in a different way. They helpreduce the computational power that it needs to set and run the softwares inside the host operating system using lower level mechanics. This reduces the strain on computing power delivering better performance and results. Now, you will be probably thinking why should you use Docker hosting it in your organization, and that is a valid question. Let’s understand itsbenefits in detail. Docker hosting has seen a rise in interest from both individual developersand companies looking for solutions over the past few years. You will be surprised to know that containers in and about themselves are nothingnew. However, docker allowed developers to use these containers in a new and improved way, helping them gain commercial attention. With the help of APIs, that can be used by anyone, docker made it possible for developers to work on common libraries of containers, helping an entire community to work on these libraries, consequently leading to faster and better development of the technology. Docker was initially developed and launched by Docker Inc., a company that is now valued at over a billion dollars, and it is only going to increase as more and more people get associated with and start using their technology. Docker is portable and affordable and makes it easy to run softwares and apps in a standardized and virtually free containers (sandbox), reducing costs and the time frame involved. It also makes it easy to manage and run day to day operations. Containers make use of shared operating systems leading to better usage of resources. This enables them to leave over 95% of the junk that you had to face with VMs. You can imagine how this makes it easy to run your app inside a compact capsule or a container that has nothing but your app or software. And if you are able to fine-tune this container further based on your individual preferences and liking, you are essentially looking at a product that is laser targeted to your needs and requirements. It is recommended that you chat with a support staff and lay down your requirements before choosing a provider and a respective plan.